IS THIS ARMAGEDDON FOR ARTEMIS FOWL?Opal Koboi, power-crazed pixie, is plotting to exterminate mankind and become fairy queen. If she succeeds, the spirits of long-dead fairy warriors will rise from the earth, inhabit the nearest available bodies and wreak mass destruction. But what happens if those nearest bodies include crows, or deer, or badgers - or two curious little boys by the names of Myles and Beckett Fowl?Yes, it's true. 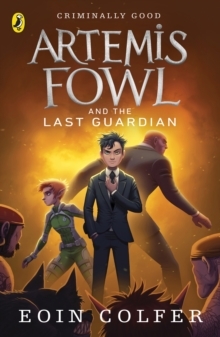 Criminal mastermind Artemis Fowl's four-year-old brothers could be involved in destroying the human race. Can Artemis and Captain Holly Short of the Lower Elements Police stop Opal and prevent the end of the world?